Taavi Oramo, 27, has signed with his father’s agency, HarrisonParrott. His parents are BBC conductor Sakari Oramo and coloratura soprano Anu Komsi. He will be managed by his father’s agent, Linda Marks, it was announced today. Taavi Oramo is a conductor, singer, electronic musician and clarinettist. He studied conducting at the Panula Academy under Jorma Panula and at the Sibelius Academy under professors Atso Almila and Hannu Lintu. His professional conducting career was launched with two short-notice jump-ins during the 2017/18 season with Tapiola Sinfonietta and the Finnish Radio Symphony Orchestra for which he received glowing reviews. Father and son Oramo are a part of a very well-connected Finnish musical dynasty (the extended Oramo-Pohjola family – Oramo Sr.’s parents were both professors at the Sibelius Academy) with a long history of, well, arranging opportunities for each other. Since the whole clan consists of at least good or even excellent musicians and teachers, it’s possible to argue (as Oramo Sr. has publicly done) that the artistic results arising from these arrangements speak for themselves, but one can’t still help catching a whiff of nepotism when reading about them. Taavi’s abilities speak for themselves. It’s a musical family, and it’s unsurprising that Sakari’s agent, being particularly aware of them, should be the first to make him an offer. 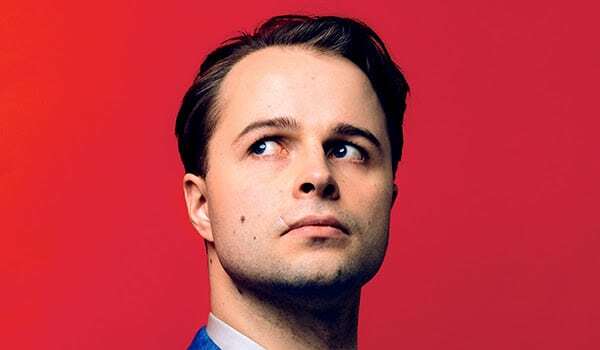 27 is hardly over-young to be signed by a major agency, Panula and Lintu know what they’re talking about, and the idea that Sakari Oramo – of all people – is capable of dissimulation, nepotism or insincerity is manifestly absurd to anyone who’s worked with him. He and Anu have actually taken a remarkably hands-off approach to both their sons’ artistic development. Being his dad’s son no doubt helped him get through a door that might be harder for others to open, but in the long run he’ll still have to demonstrate his chops. But how’s his clarinet playing? Well said. Michael Barenboim has publicly spoken to that effect too. It doesn’t take much effort to think of offspring of famous musicians who deservedly went on to have illustrious careers, and others who didn’t. Yup, because Jorma Panula judges by name not by ability. Sure.